Much like events occurring while under the influence of “Slo-Mo,” the trek towards a sequel is an exercise in tedium, but it’s still an effort that has gained the support of Karl Urban and, in this recent picture, Judge Dredd co-creator/artist Carlos Ezquerra. Post by Make a DREDD Sequel. Buy it. Rent it. Or, far more likely to happen this year, stream it on Netflix or Amazon Prime. That may end up being a smart move in the long run, now that Netflix is fully capable of funding whatever original material they want. It won’t be long before the streaming service starts showing up more and more as a cinematic production company, and Dredd 2 would be a great place for it to start. So just stream the movie all day long tomorrow, even if you aren’t home. Play it on your phone. Make your goldfish watch it. And even if you aren’t the one having the viewing, just introducing Dredd into one person’s life is all it takes. It would also be pretty cool if you painted your car to look like Dredd’s helmet. You should do that. I’m definitely going to, so you should, too. 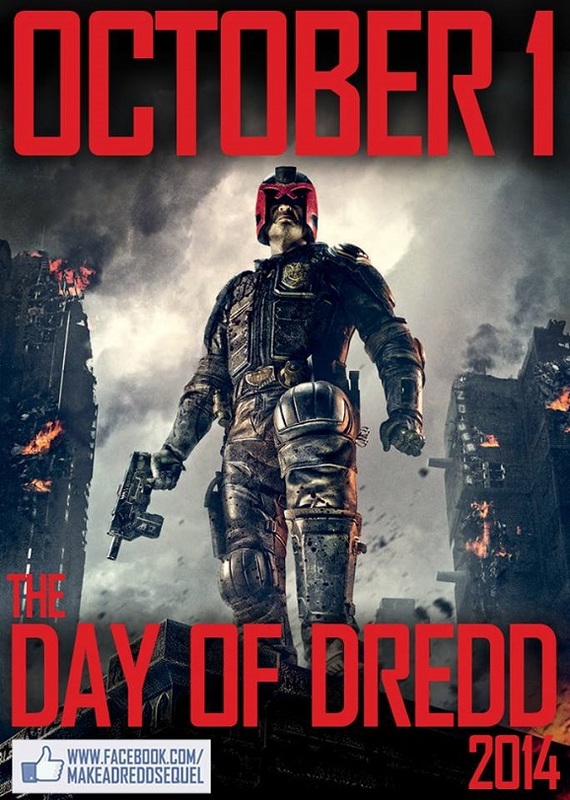 And if I don’t see you tomorrow, Happy Day of Dredd everybody!